As has become their now routine procedure to schedule legislative action on bad public policy that they hope few citizens will take notice of, the Republican legislative leadership publicly noticed this action late Friday afternoon after all of Wisconsin had begun the Memorial Day weekend holiday. On Wednesday, May 31st, in the Capitol, the Assembly Committee on Federalism and Interstate Relations plans to vote on AJR 21 and several other misguided measures calling for a Constitutional Convention to develop a balanced budget amendment and what is called an "Article V Convention of the States" for the stated purpose of adding that balanced budget amendment to the U.S. Constitution. A convention like this has never been called and assembled before in our nation's history and it could be a very destructive and dangerous event. A convention of this type could go well beyond a balanced budget measure and go on to alter or eliminate citizen rights currently protected by the Constitution. Voting rights, civil rights, women's rights, an end to democracy and freedom itself. The possibilities are endless. 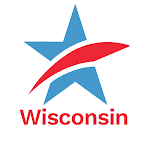 Wisconsin could become the 29th or 30th out of 34 states needed to call for a convention if these measures clear the Legislature. The Milwaukee Journal Sentinel published this excellent editorial earlier this year denouncing this dangerous proposal. The Journal Sentinel also published this informative guest editorial written by national Common Cause President, Karen Hobert Flynn. Common Cause in Wisconsin's testimony against this proposal is here. What citizens can and must do: Contact both your State Senator and your State Representative and tell them to oppose the call for a dangerous, Article V Constitutional Convention! If you are not sure who your state legislators are, go here. Here’s the information on the May 31 executive session. In addition to your own state legislators, contacting the member of the committee and weighing in against this dangerous assault on the Constitution, would be helpful. Never surrender. Never give in. Forward! 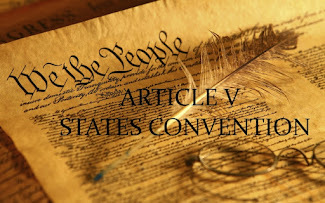 ACTION ALERT: State Assembly Committee to Vote on Measure to Undermine the U.S. Constitution on WednesdayTweet this!